If humans get the blues, the cats do as well. Depression in cats was discovered by behaviorists in the 1990’s. There can be different reasons for a cat’s depression and sometimes, it is not the owner’s fault. You might think your cat is just moody, but there is a possibility that it is already suffering from depression. Cats are very sensitive. Simple things for you can be upsetting situations for them. Cat depression can be a sign of a more serious illness. You should know the right thing to do in order to figure out the reason behind this and to help your cat deal with it. Depression in a cat is difficult to diagnose and it is not exactly the same as depression in a human but there are a lot of similarities. Cats can get depressed when not given attention regardless of their breed. If a cat gets depressed, it loses its interest in playing. It also loses its appetite. There are cases where it could be aggressive which can be dangerous to you because you might get scratched or bitten. It is important to treat it immediately because your cat could end up losing its appetite, getting unhealthy or worst, dying. As you observe your cat’s behavior, you might be able to figure out if it is depressed or not. It is important to know if it is as early as possible and to take precautions. It is easier to treat depression when it is still in its early stage. Some cats are normally active. They love to do fun activities with their owners such as chasing food as you throw it, playing with toys, and scent hunting. They used to enjoy those activities but once they get depressed, cats will get bored. You will notice that they are tired of doing the usual things and want to do nothing instead. Cats are often affectionate to their owners. If there is a sudden change in a cat’s behavior, it is a frustrating problem for its owner. If a cat suddenly becomes aggressive, it easily feels irritated. It can be harmful towards its owner, other people, and other animals. If your cat becomes aggressive, you have to be careful because its paws and teeth might harm you. Excessive vocalization is characterized by too much meowing of your cat. There are different reasons for this behavior and depression can be one of the factors behind it. This is the most common sign that there is something wrong with you cat. Sometimes, you will notice that your cat is depressed in its body language. It doesn’t feel at ease when it’s depressed. When its ears are held back, it looks uncomfortable, and it exhibits other body languages which are unusual. Cats do love affection. They like to be cuddled and carried. If your cat is avoiding these gestures from you, then it might be a sign of depression. One of the signs of depression is the inappropriate liter box behavior. If your cat is usually well-disciplined but suddenly started pooping and peeing anywhere, then there is an underlying problem with it. One of the things where a cat is good at is at sleeping. 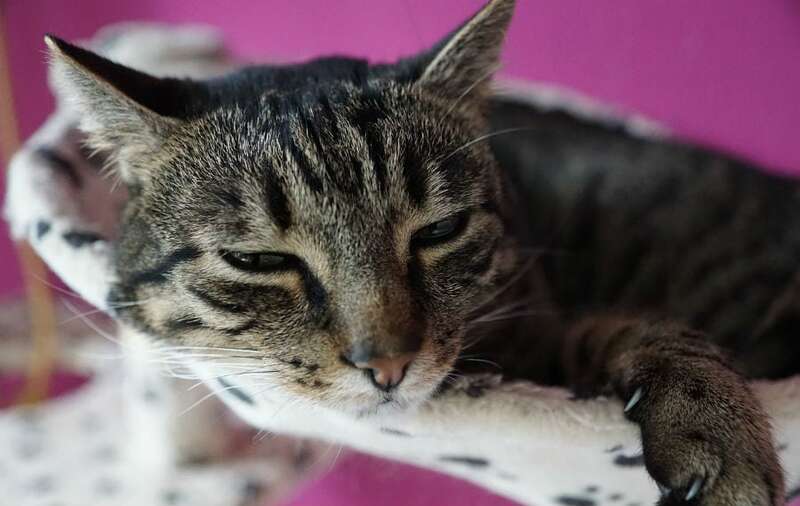 Often sleeping might be normal for some cats but if yours sleeps longer than usual and prefers to sleep than play, then your cat might be lethargic. This can also be a sign of depression. Excessive sleeping is not usual anymore. Cats can learn self-grooming from their parents. Example of self-grooming is licking their body which helps their cooling process and keeps their fur tangle-free. If your cat stops grooming itself, it might have a problem. Any pet normally loves attention but if your cat keeps hiding from you, then there is a tendency that it is depressed. You should always observe if there are changes when it comes to your cat’s eating habit. You should maintain its weight. Make sure it gets the right amount of food it needs. If you notice changes in its eating patterns or worse, refuses to eat at all, seek professional help. If you notice any of the signs above, have your cat treated immediately. Health problems like kidney disease and cancer can also cause depression in cats. Sometimes, you might not be aware of these problems. 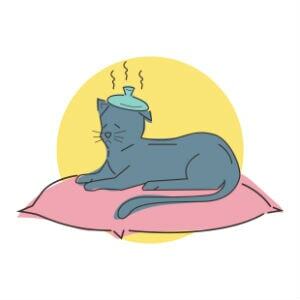 You should take precautions especially when your cat is prone to some health issues. Injuries might also cause your cat to limit its ability. Like people, cats can’t always adapt to the things you want them to do and to their environment. If there are changes in a cat’s activities, it might cause behavioral problems. If there is a chemical imbalance in your cat’s body, it won’t feel well. It can limit its ability to do things as well which can lead to depression. Losing a family member is very frustrating and it is hard to move on from it. Like us, a cat feels sad whenever it loses a loved one which can cause depression. Like people, cats don’t want to be alone. If they are by themselves, they don’t have anyone else to interact with. They become bored, lonely, and eventually depressed. A cat requires attention. You need to interact with it and you shouldn’t make it feel out of place. If there is less interaction with your cat and it is not socialized with other people or animal, it can suffer from depression. If there is a new pet in your house and you start giving it more attention than you do to your cat, it can get jealous and might end up feeling left out. Changes in owner’s mood can affect the cat’s behavior. If you are usually a happy person but became angry often, it can affect your cat as well. You must bring your cat to the veterinarian as soon as possible to assess your cat further. It should undergo different examinations and behavior assessment to either diagnose and recommend treatments and therapies or rule out depression altogether and determine any other possible causes. If your cat has a serious problem that requires medication, you should ask a veterinarian to prescribe a medicine which can help your cat relieve its depression. Some examples of the medicine it can take are Trazodone, Midazolam and Gabapentin. The type of medicine your cat will take is going to depend on its condition. You can add drops of plant extract to your cat’s food. You can use the extracts of plant like chamomile. Their aroma will soothe your cat’s “gloomy” feeling and will relieve its anxiety. You can also do it by rubbing the extract to your cat’s ears, head, and lips. In case your cat losts its companion, you can get a new pet in order for it to be able to interact with other animals and eventually move on from the loss. You should also remove things that have the scent of the lost companion because they will just make your cat sad. If you are planning to add a new pet in your house, make sure that you still give your cat the attention it needs. Always interact with your cat and cuddle it. Always observe its eating behavior. Visit veterinarians for physical examinations to see early signs of illness, if there is any. If you are planning to have change in activities, make sure to introduce it slowly until your cat can adapt with it. Don’t leave your cat alone at home. Cats deserve attention as much as humans do. It is an important requirement in taking care of them. They are also sensitive and they can get hurt when you get mad or leave them alone. Don’t wait for the situation to become worse. If you are a cat owner, you’re also a parent and your cat is your responsibility.